Who Says Exercise Has to Be Boring? If you’re battling with the bulge, and for that matter, the battle of the yo-yo dieting plan, your answer could just be resting in the hands of your exercise plan. And if your exercise routine is the ‘same old, same old’, rest assured, your weight could determine greatly on how much fun you’re having at the gym. If you’re not having fun, you may not be maximizing your workout time. So here’s a short, to the point, and read-it-to-lose-it plan to get you moving, burning, and zapping those calories right off of you, and just in time for you to look and feel amazing! If you’re listening to the same Jay-Z or Rihanna every single workout, losing those last stubborn pounds around your mid-section might be as simple as chasing up your playlist. The fact is, your exercise routine is only as boring as you give permission for it to be, so get your motivation in high gear by changing up your song list. Swap out the slow love songs (you love to listen to on the way to work) to some Beyonce, Michael Jackson or the entire soundtrack of Footloose, Flashdance or Rocky and remember this – when you change up your play list, you can change up your entire game in the weight room. Better tunes, and you’ve just found your golden ticket to better abs. Let’s face it – no matter how passionate of a runner, jogger, or incline walker you may be, heading to the gym every single day and walking, jumping or running your way to weight loss and an amazing core can be b-o-r-i-n-g. However, the usual cardio doesn’t have to be boring when you work in some mental imaging that takes you far, far away from your elliptical, and right to the beaches of Bali or sipping mai tai’s in the crystal clear Caribbean waters. 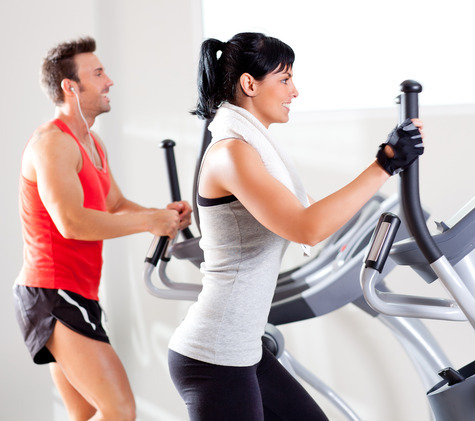 When you work out, don’t focus on that guy or girl next to you with the perfect body. Instead, focus on your ‘happy place’ – a place that brings you to the ideal setting. And while you’re at it, picture yourself with the body you long to have. Studies show that just by acting as though you already have the thing you want, will help you to attain it quicker! Nothing can bring some excitement into your exercise routine like a brand new way to work out. There’s nothing wrong with being a creature of habit in the gym or outside of it – that is, until you reach your weight loss plateau and can’t overcome it. Whether you hit SoulCycle (a favorite spin class of celebrities everywhere!) or the latest Les Mills cardio class, you’re in luck. Not only will the unusual class you’re taking speed up your metabolism and cause your body to push past that stubborn plateau, but you’ll be able to feel exhilarated like you once felt when you began working out. Take your pick of fun ways to add some za-za-zoom to your workout, and see the immediate results for yourself! 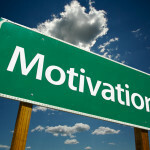 Motivation Monday: Motivating Others From Your Own Weight Loss Success!